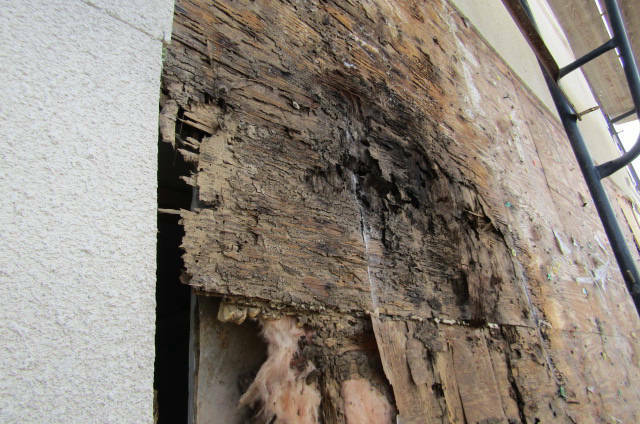 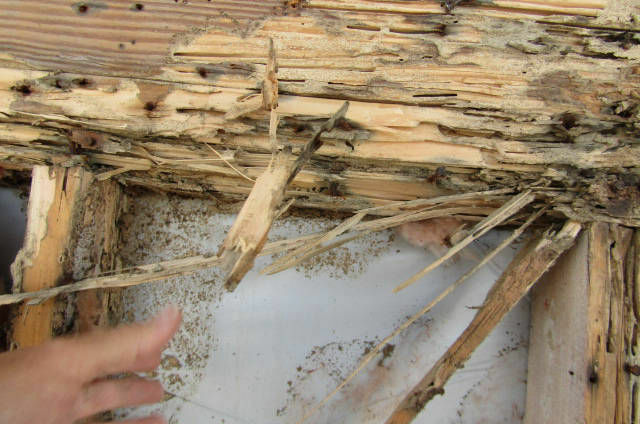 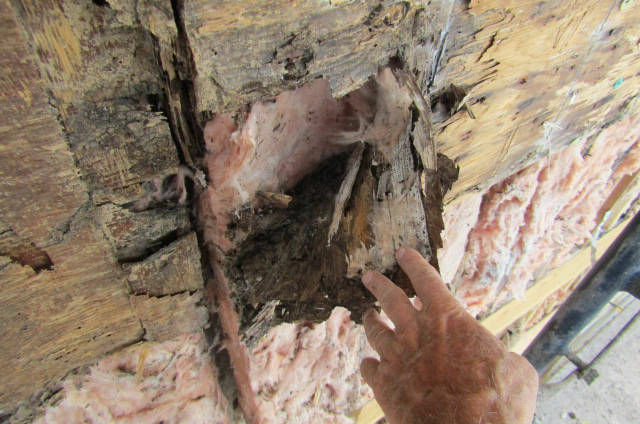 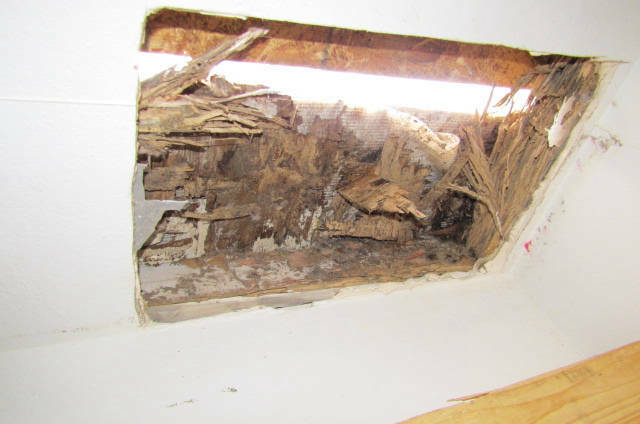 Examples of wood rot often found with water intrusion problems. 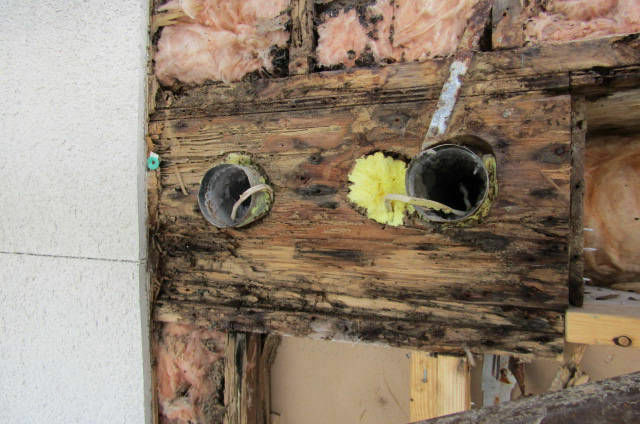 Most were not detectable by visuals observations, but were found with Delmhorst meter probe testing. 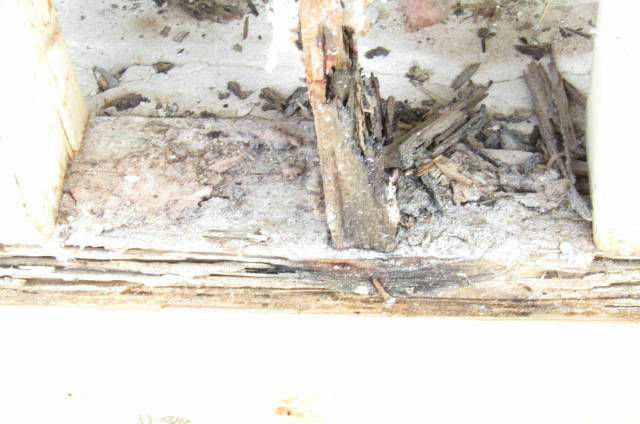 Rotted plywood discovered after wall stucco removed . 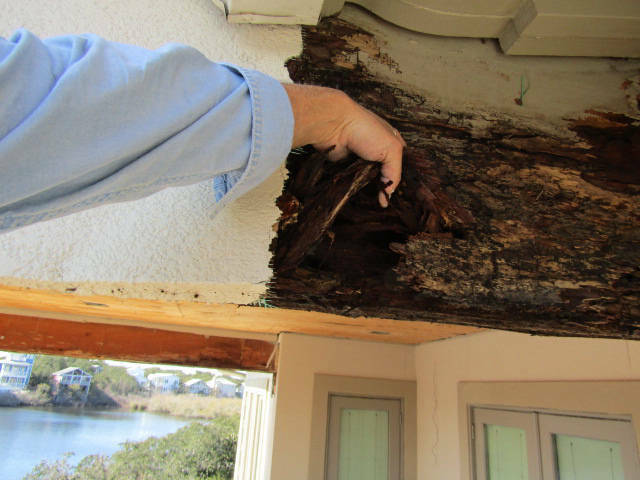 Deck support beam so rotted that it is coming out by the hand fulls. 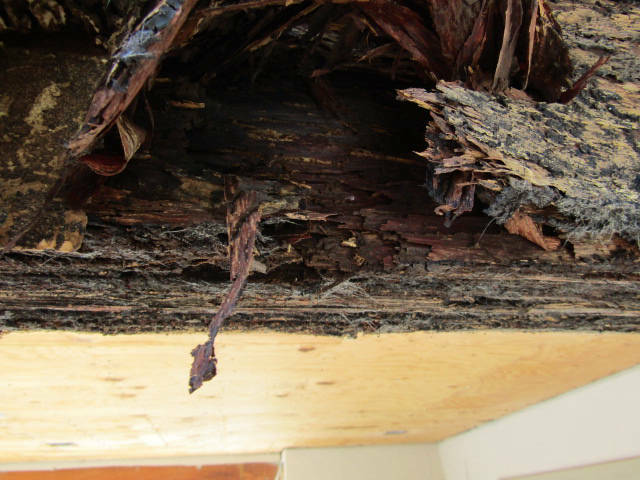 Deck beam supporting the weight of the deck found to be totally rotted under the stucco cladding.